How many times have you said to yourself, "If I could just lighten that one spot in the photo, I would be so happy."? Aperture users don't have to roundtrip out of the application to accomplish that task. Using the brushing tools, you can work on "just that one spot." And in 5 minutes, I show you how. This tutorial is from my Enhancing Product Photography with Aperture training on lynda.com. I walk you through localized editing techniques step by step, so you can apply this to your photos right now. I've finished testing and have now published two new Nimble Fit Kits (#10 and #11). Kit 10 is designed specifically for indoor events that typically include security checks. 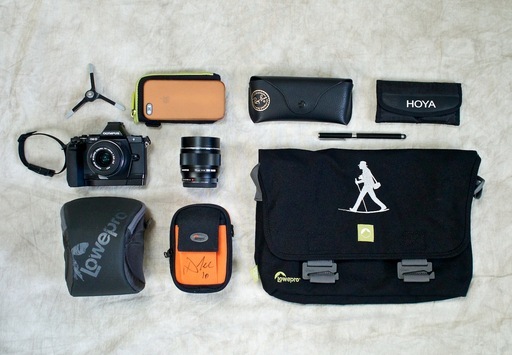 Kit 11 is handy for traveling light and covering outdoor actives. Fit Kit 10 designed for indoor events such as basketball games. Both kits use the just-released Walking Man Shoulder Bag (black model) with silver embroidery on the front flap. I've used these configurations for extended periods of time. Because they are so light and comfortable, I can keep my gear on my body and safe while taking pictures in crowded areas. Fit Kit 11 is perfect for outdoor activities with friends and family. On The Nimble Photographer, I list the contents of each item in the kit with a link to its catalog page. Both of these configurations take advantage of the "bag within a bag" concept. Chances are you already have many of the components required to build similar carrying solutions. 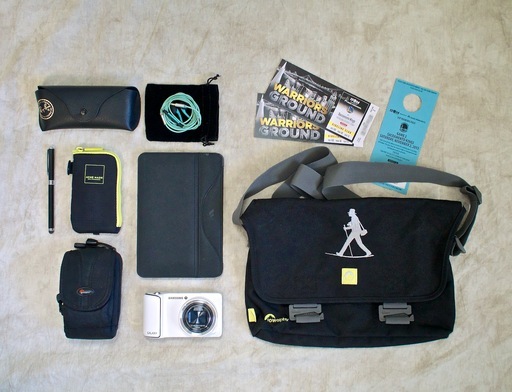 If you want the official Nimble Photographer Shoulder Bag made of 95 percent recycled material and handsomely embroidered, it's available for $29.95. These kits have a high Nimbleosity Rating. What does that mean? You can learn about Nimbleosity and more by visiting TheNimblePhotographer.com. For the September 2013 Photo Assignment, TDS shooters demonstrated their cat-like reflexes. See for yourself in our gallery, Grab Shot. And which one will be the SizzlPix Photo Assignment Pick of the Month? Photo by Brian Buhowsky. 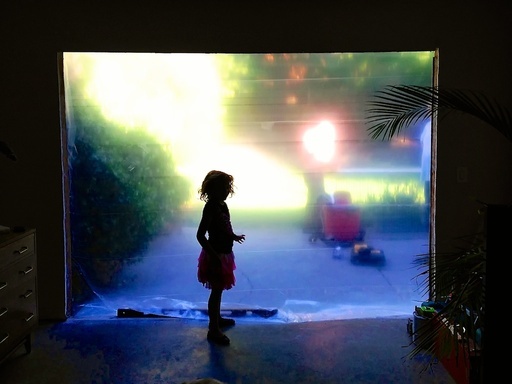 "This is a grab shot of my daughter while our house was under construction. The colors and contrast, as well as the haze created by the tarp resulted in a dynamic effect." (Captured with an iPhone 5.) See all of the great images from this month's assignment by visiting the Grab Shot gallery page. The Nov. 2013 assignment is "Critters." Details can be found on the Member Participation page. Deadline is Nov. 30, 2013. No limit on image size submitted. Please follow the instructions carefully for labeling the subject line of the email for your submission. It's easy to lose these in the pile of mail if not labeled correctly. For example, the subject line for this month's assignment should be: "Photo Assignment: Nov 2013." Also, if you can, please don't strip out the metadata. And feel free to add any IPTC data you wish (These fields in particular: Caption, Credit, Copyright, Byline), I use that for the caption info. Gallery posting is one month behind the deadline. So I'm posting Oct. 2013 at the end of Nov., the Nov. gallery will be posted at the end of Dec., and on and on. Good luck with your Nov. assignment, and congratulations to all of the fine contributors for Sept..
Having carried a Canon EOS 70D with the Canon EF 40mm f/2.8 STM lens for some time now, I agree with the recent DP Review Gold Award for the enthusiast DSLR. In terms of my "larger" cameras, this is my current favorite. 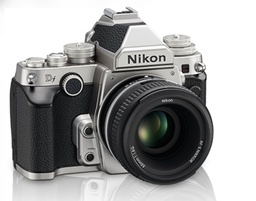 And with the 40mm f/2.8 pancake lens, it's a remarkably compact and versatile camera. I keep it in my Lowepro Urban Reporter 150 with the OM-D. The 40mm on the 70D is my longer lens and the 17mm on the E-M5 is the wider. Depending on the situation, I grab the camera that has the most appropriate focal length. 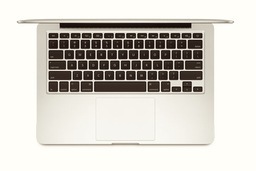 The swing-out articulated touchscreen LCD. So versatile! Built in flash with wireless controller combined with the wireless Canon 270EX II Speedlite Flash makes for a potent on-the-go lighting kit. 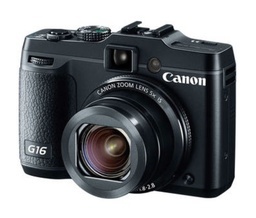 Great autofocusing with both the optical viewfinder and via live view. Terrific low light/high ISO performance. 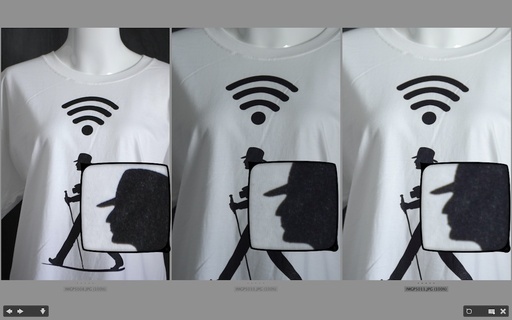 Built-in WiFi for both camera control and picture transfer. Accepts my entire catalog of Canon glass. The enthusiast DSLR lives on. 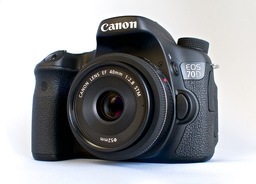 And I, along with DP Review, feel that Canon has created an excellent camera with the 70D. After having such great success using a lens adapter for my micro four thirds cameras, allowing me to mount Zeiss lenses on to the Olympus OM-D, I thought I'd do the same for my Pentax K-5. I quickly learned that all lens adapters are not created equal. 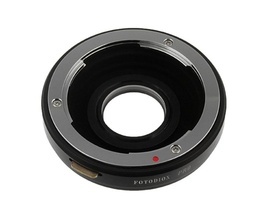 I ponied up $39 for a Fotodiox PRO Lens Mount Adapter that would let me mount my Contax Zeiss lenses on the Pentax K-5. I thought this would be particularly fun for studio work. The adapter seems well made and everything mounted snugly. I ran a test using the $165 PENTAX DA 18-55mm f/3.5-5.6 lens against my Zeiss 50mm f/1.7 prime with Fotodiox adapter. As you look at the shots below, the Pentax lens image is on the far left, and the Zeiss with adapter shots are in the middle and on the right. Clearly, the $165 Pentax kit lens outperformed the Zeiss with adapter. Not only that, I lost one f/stop of light (middle image) with the adapter, and had to compensate by opening up from f/5.6 to f/4 (right image) to get an equivalent exposure. More bad news concerning image stabilization. 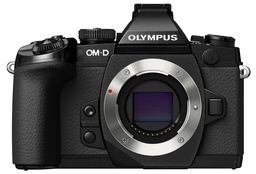 Even though the K-5 has sensor based stabilization, it would not activate with the Fotodiox adapter. I used a tripod and self timer for the test shots, but in real life this would be an issue. I'm sure I'll find something creative to do with the Fotodiox mount. But I don't think I'll be shooting product shots in the the studio with it. All 2014 TDS Workshops Are Sold Out! We will announce the 2015 Season in November. The 2014 season will debut with five photography workshops ranging from the streets of San Francisco to the Fall colors of Sonoma County wine country. 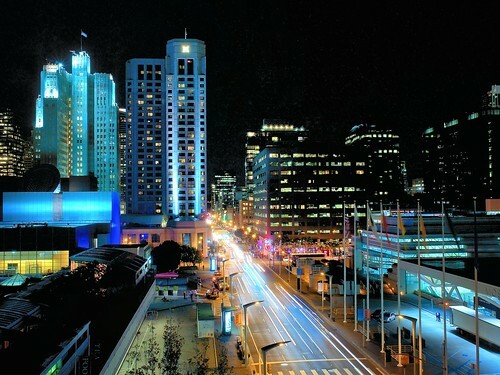 Night shooting will be included in the SF Street Photography Workshop. Our photography workshops are extremely high value, personalized events. Participation is limited to 8 attendees with hands-on instruction, multiple shooting sessions, post production lab time, and plenty of sharing and feedback. You can get on the Reserve List now for the event of your choice by using the Send Me Info form in the middle of the Workshops page. By getting on the reserve list, you can save your place at the front of the line. Those on the reserve list have the opportunity (but not the obligation) to secure a seat for any of the listed workshops. You can learn more about how the Reserve List works. Make 2014 the year that you treat yourself to an immersive photographic experience. Just you and a handful of peers focused on improving your craft and having a good time.